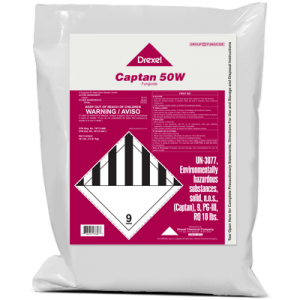 Captan 80 WDG is a water dispersible granule used for control of various plant fungal diseases. Is Captan 80 WDG as effective as new chemistries available? 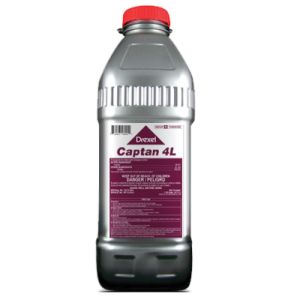 Captan 80 WDG is a widely used, highly effective fungicide that has shown no signs of resistance after 50 years of use. Should a spray adjuvant be used with Captan 80 WDG? Adding a sticker, extender, spreader such as Pinene™ II will extend the life of the fungicide once applied and protect the crop longer. 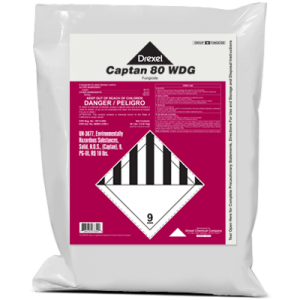 Can Captan 80 WDG be safely tank mixed with other products? It is advised not to mix with dormant oils or alkaline materials such as spray lime, lime-sulfur, or bordeaux mixtures. 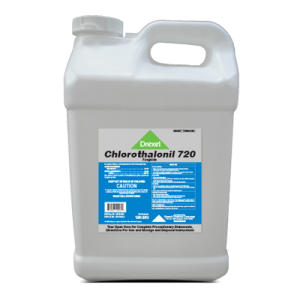 Oil combinations can cause phytotoxicity and alkaline materials will reduce efficacy of the Captan 80 WDG. Always perform a jar test before tank mixing.